"From the oldest and most singular vineyards in the area, planted before the creation of the D.O Rias Baixas, Maior de Mendoza emerges. Pioneers in the Albariño grape viticulture, its care in a sustainable way and the maturing on its own lees. 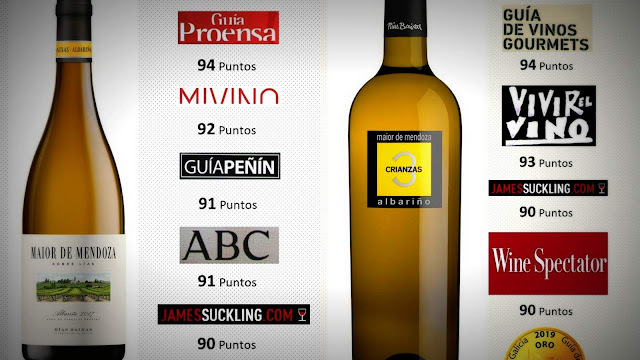 We create terroir wines, charactericed by it´s freshness, Atlantic character and a great evolution in the bottle." 3 months matured on lees. 1 year matured on lees, 6 months in oak. 9 months matured on lees, 5 months in inox. And 5 months in the bottle.